Feeling held back by the Optimus Maximus' 113 OLED keys? 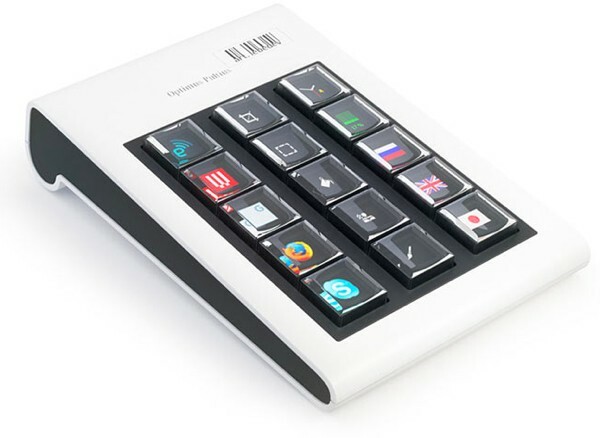 Then you've no doubt been anxiously anticipating Art Lebedev's Optimus Pultius keypad, which the design firm now says will be dubbed the Optimus Aux whenever it's actually released. So as to not leave us completely hanging, the firm has also revealed the new prototype pictured above, which is just enough to make us a little wistful of the early days when the Maximus first flickered to life. Head on past the break if you need a reminder of what the final product is supposed to look like.